I'm Now On Goodreads Contributing Book Reviews, Baby! Oh, God, I Love It! Love Reading Books; Love Writing Reviews. 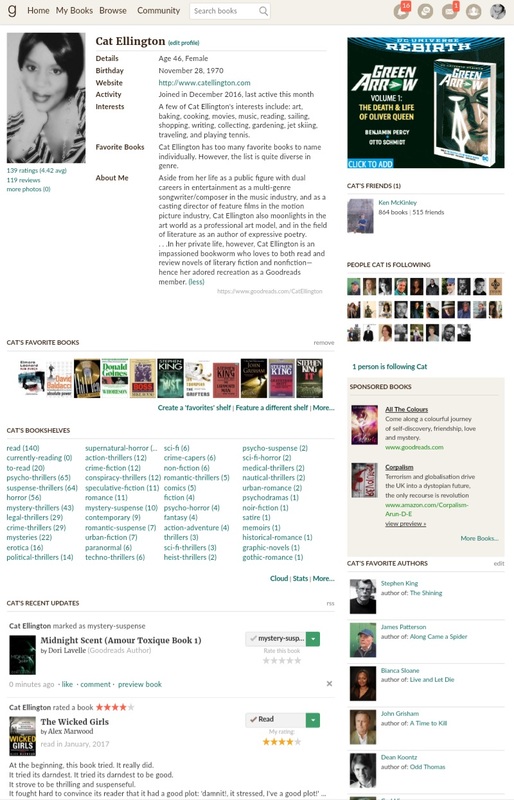 My Assistant, Jackie, Created My Page With The Great Folks (My Fellow Bookworms) At Goodreads Less Than A Week Ago. And Since The Profile's Creation, I've Shared Some Of My Time Doing Something That I've Always loved ... And That's Writing Book Reviews. By Now, Some Of You May Know What A Neat Freak I Am, Yah? Uh-Huh ... Uh-Huh ... Yeah, Well, I've Over 35 Years Of Books Read Under My Belt, And I'm Reviewing Each And Every Book That I've Ever Read—With Maybe The Exception Of A Few—In Chronological Order (By The Years Read), So That My List Appears Neat And Organized ... Y'all Understan' What I'm Sayin'? Right On, Babies ... Right On. Thank Yous To Max, Karen, Brynn, And All Of The Folks At Goodreads For Being A Joy To All Of Us Book Lovers. Thanks Also To My Jackie For Laying The Biographical Foundation Of The Page For Me. I Love You, Shmookums. Note: Though I Am A Gal Who Habitually Writes In Title Case, My Book Reviews Are Not In Title Case. Yes, It Was Tough At First, What Typing Out My Reviews In Sentence Case, But I Got The Hang Of It. Hee-Hee... Unfortunately, Book Reviews Must Be Written In Sentence Case. Hmph! Have Yourselves A Very Merry Christmas, Babies. And Stay Groovy.